Hey! How's it goin', Owen? I'm wondering if all our electronic deVices are causing the hormonal fluxations of Wilma Weather. The temperatures forecast for us today, only the 6th of April, are for over 90F and then by Friday it will be back to the 60s. Everyone across the world seems to be hot one day and cold the next. It's positively menapausal! In honor of that, I'm going from the vibrant to the sublemon! 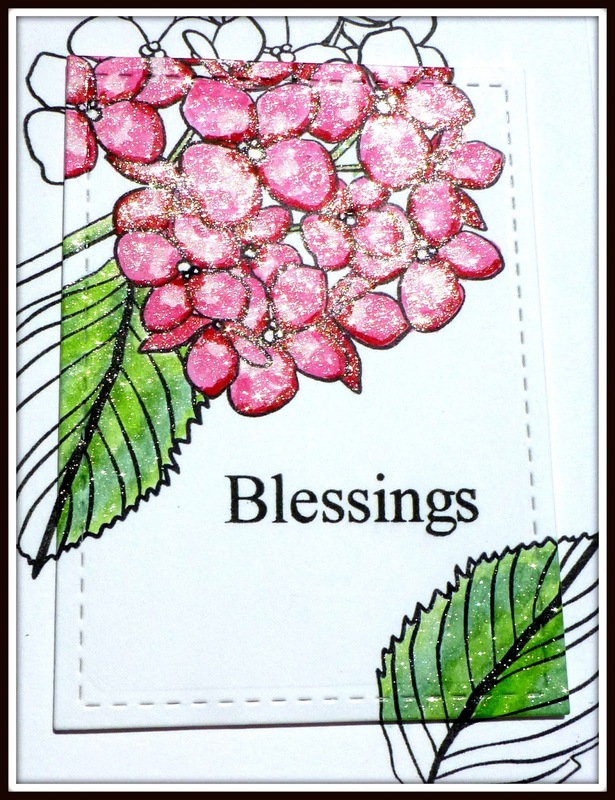 For my card I used the amazing "Mondo Hydrangea" set from Essentials by Ellen. The sediment is from the "Fall" set by Technique Tuesday. I used my Ziggies to apply the color, but (for the most part) I first scribbled the color on an acrylic block and then applied it using a paint brush and water. You know there's an easy way to make this kind of card and then there's a hard way. The easy way: you stamp your image, die cut the middle bit with a rectangle die, pop it out, color it, and pop it up right back over the spot from whence it came so it lines up. The hard way: You stamp seventy-eight two separate images and then work like a dog to line them up straight. I chose the hard way because Hammy took all the furballs on the bus yesterday to go see their mama. It's an understatement to say I missed them like heck on a horse. I was so happy when I got it finished, I winked it like there's no tomorrow! I'm also playing in Cards in Envy (my first time here!) and CAS on Sundays, both with flower themes. The colors on this one were achieved by using my TH markers directly to the stamp (Crafty Individuals) and then spritzing the stamp and applying it to mixed media paper. I had to take a photo in the shadows so the sun didn't completely wash out the subtle shadings. Even though this time I cut the card correctly, I still managed to have wind on the brain. When I sighted my behind I could see I need to lose some weight. Wait. What? No, I meant to say that I could see I should have placed the dies such that they didn't slice through the Pretty Poppies (MFT) sediment right at the tender part of the under belly. Sigh. If I put an emoterman right here for these two makes, he would be slappin' hisself upside the head! I'm paying the air fare to have those furballs fly home tomorrow. I can't wait for that bus. Sorry, I digest. I made the above card as a DJKASE of a superb card made a month ago by my friend Elaine at Craft-E-Place. Here is her pretty card, which is artfully sedimental! Elaine also happens to be guest designing for the current Time Out Challenge so I'm entering my card there. They are celebrating strong women this week and my card is going to my sweet friend Verna. She is 92 years old and although she has had many physical ailments (including 17 fractures of her back), she never complains and her smile and spirit are always uplifting and inspiring. Her 4'10" frame is a tower of strength, grace, and compassion. 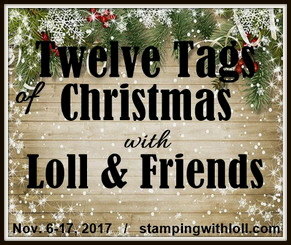 I'm also playing at Inspired By All the Little Things featuring Nancy Leppek (photo inspiration) and at both Twofers Challenge and Simon Says Stamp Wednesday Challenge (birthdays). Happy 7th Birthday to Simon!! I was going to share some Easter photos, but this post is, once again, already too long. I do want to add, however, that I've had some very kind and very blush-worthy emails lately and it reminds me that it's been a while since I've said thank you to all of you for being loyal readers and friends! Your encouragement keeps me going, warms my heart, and is very much appreciated! Mwah! Lovely case and DJKASE Darnell, I love both versions, both are beautiful, colorful, and lovely. I gasped when I saw Joyce's card & love your version, Darnell--worth the effort! Love the softness of the second card--another beauty! Thanks for your sweet comment--you always lift my spirit! Why have you made it so hard for you? Two gorgeous cards there Darnell, I think I have that Crafty Individuals stamp in my NBUS somewhere and have never been able to think of what to do with it, so thanks for the inspiration.. .there could well be a case of a CASE of a CASE happening soon. Fabulous cards - I love the beautiful colours and the great technique too. 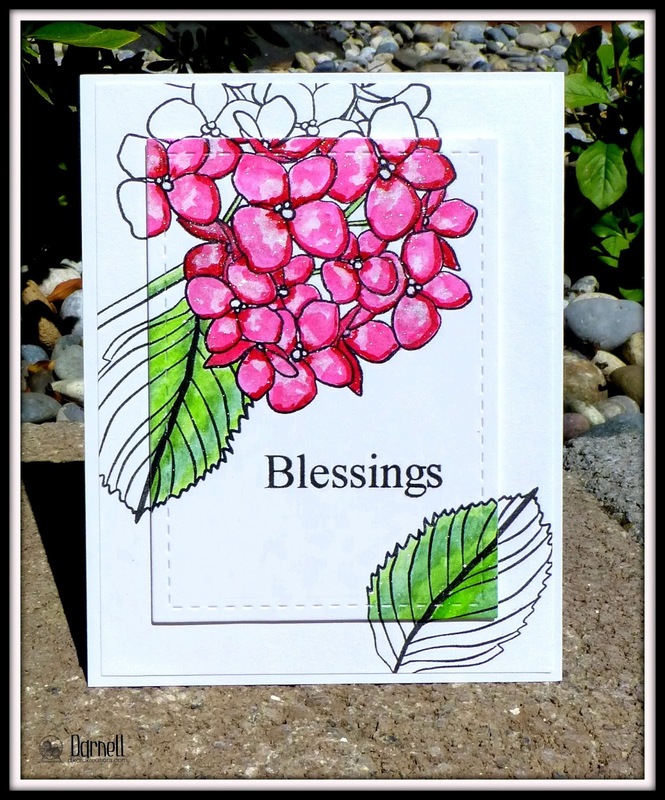 Both your cards are so pretty Darnell, I adore the off the edge bold hydrangea! Gorgeous cards Darnell..... love that big bloom, and the colours look so pretty. Oh Darnell - fancy having to craft on your own - if Hammy is visiting the furball's mother, are you sure you will not get a repeat invasion of smaller furballs in a few weeks time????? ;-). You're right about the crazy weather, so unpredictable. 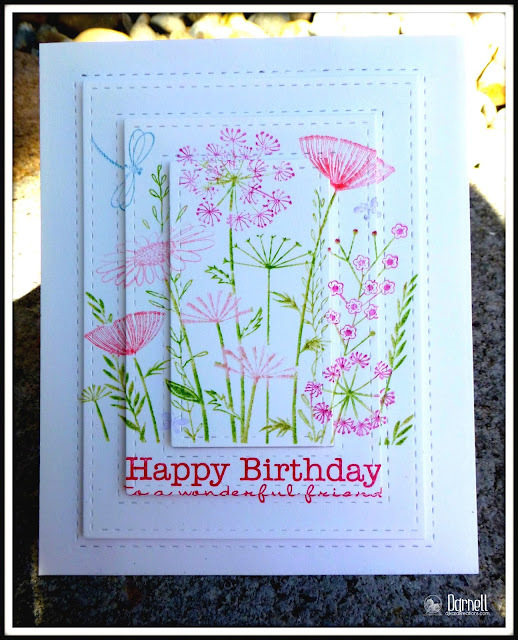 Love your pretty multi flower card, so springlike and well done with the first CASE! Two stunning cards Darnell...love them...very clever technique that I have yet to try!....along with dozens of others!!! Hope Hammy doesn't miss the bus! Both of your cards are fabulous, Darnell! I especially love the one with multiple layers and am so sorry that your first card was such a struggle. Thank goodness for lessons learned and beautiful outcomes. Thanks so much for joining the HLS CASE challenge. But the hydrangea is my favorite ! Teo beautiful cards Darnell, love the hydranga (or owever its spelt:) it looks wonderful and then your second card with three layers, bloody brilliant darl. Sorry had to laugh at the shrunken sediment due to cutting layers as thats what I did with the tag my sediment went into on my card. I thought it was so well lined up but no. But no one appears to have boticed or should I say commented. Always so enjoy coming her to visit. Gorgeous cards and yep, the weather is definitely menopausal! Very pretty, both cards! 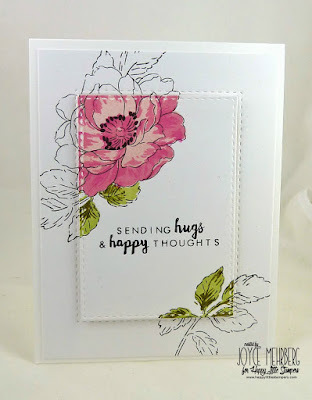 I really love flowers and it is fun how you used so much pink and different layouts for each. I have that crafty individuals stamp but have not had it out in a while. Thanks for the reminder of how pretty it is! These are gorgeous! LOVING the colors!!!!!!!!!!!!!!!!!!!!!!! Great job with the CASE Cards. I have yet to make this style. This is my second look at these beauties today. I went and watched a video on this technique and came back to enjoy one more time. Real beauties, Darnell! These are both gorgeous, Darnell! Gorgeous cards. I love the colors of the flowers. So spring like, and my part of the country really needs that. Oooh, love the vibrant pink hydrangea against the crisp white! And all that shimmer! Beautiful garden on your second card. It's so pretty I didn't even notice the sentiment was cut off. Whoa Nellie - those are some gorgeous blooms! Love that mondo job-o. And I did cringe when I saw the way you mistreated your innocent little sentiment on card #2 ;) Happy Spring Cali girl! Hard way or easy way, you still did a brilliant job Darnell! The Hydrangea one is completely stunning, I really do love that technique and need to use it more often! Thank you for inspiring me! I am sure Verna will adore her card. ALL Beautiful cards! Both of your cards and the cards you cased! So very nicely done! Well these are both gorgeous cards, I love how you coloured your hydrangea (even if you did it the hard way) turned out so beautiful. Your CASE card I think is sliced and diced just fine and bet it looks fabulous IRL! Thank you so much for sharing with us at Inspired By All the Little Things this week! Love how you were inspired, Darnell! Thanks for sharing all your hard work...each one of them is pecial! I hate to be an enabler ( it seems that I am one! LOL). 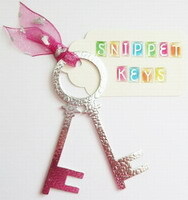 Not sure if you have a MISTI because it sure will make all the stamping easy (the right way or not). 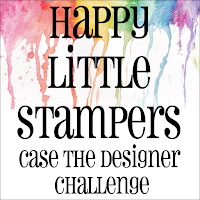 So glad that you join the fun over Simon Says Stamp Wednesday “Happy Birthday” Challenge! Beautiful Darnell. I specially like the second one. Beautiful cards! I love the flowers and the pretty colors you chose. (I love everything with flowers, btw!) I'll be recovering from surgery this Friday, so don't know when I'll get back here. Be patient, please! Well I think you did a superb job with this technique! As always your post made me giggle! Hugs! Lovely pretty flowery cards today Darnel. A great technique however you achieve it. Letting you know I came by...aaaaand that whether to hard or easy way you definitely know how to put together a card, absent furballs or not. Impressed with how you do this...never quite comes off for me. Love the look, though. First time I saw and tried it, the waste bin was overflowing. But you, apparently, have it down Pat...or Shirley, Agnes and whoever else you want to invite. Anxious to see those Easter pics. Enjoy the yoyo weather! Bye. Darnell, this is so cool how you colored your first card and left some black and white. What a stunning card! Your birthday card is simply fantastic! A tad late in commenting, your fault, I thought the first card was really lovely but then, after reading your words and the challenges, I scrolled down and then sat for ages, mouth open, in total awe at your second creation, I would not be able to achieve this in a month of Sunday's, totally and utterly stunning, fabulous image and wonderful colours. These are all so stunning Darnell! All beauties, Darnell, and chuckling at your dialogue. Bootiful Darnell. Just Bootiful. Love them all. Now about this new chikkin....are you going to send me some over or do I have to find some here? I will put your name in the hat for the waffle of names!!! I will pick the cheekiest of the new ones for you!! Wow! Wow! And Wow again! These are all gorgeous. It's amazing what a little bit of spotlight stamping and colouring will do. And I love that Mondo Hydrangea stamp, I see it everywhere but I am on a ban now for a while after my post Easter splurge. Happy Birthday to your 92 year young friend. Sounds like a stalwart. Yea for the hard way! If there wasn't a hard way I wouldn't do most things. Both your cards came out quite lovely. Okay, so you sliced and diced a greeting a bit, the important part is there-HB! I just might have to try this style of card. For giggles and grins I might even try it the easy way. Love these cards! I need to try this! Your cards are wonderful, just so sorry you had to take the bumpy roads to get there! I thought that was exclusively my M.O.! Anyway, you did great, and Verna, in all her "bigness" will love the card! Ha! You'd never know you did it the hard way - you lined it up perfectly. What medium did you use to color the Hydrangea? Love the bold color! Oh, Darnell--I love coming by because you always make me smile and laugh, both. Your cards, both of them, are so very lovely. I adore your CASE of my card, and think it is simply stunning. Haha about the hard way. Don't we all tend to make things more complicated than necessary. Thanks so much for playing along at HLS CASE the Designer and also Time Out. Love the multi layered beauty you created for the TO challenge. Nothing like ending my day with coming by your blog for smiles and inspiration! Thanks for the sweet shout out at the bottom of your post too! That was so kind of you Darnell! Your cards are just fabulous! The first one despite doing it the hard way came out perfectly and was so worth all your efforts! Love the wink of stella too! Your second card is gorgeous too! I think you are much to hard on yourself! 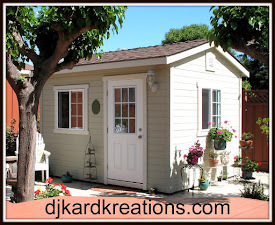 Thanks for joining us over at Inspired by All the Little Things too! HUGS! Darnell..all your cards are just stunning, WOW you really outdid us all with this layering! these are amazing! I had fun and want to do more too! I love that big hydrangea from Ellen Essentials! Absolutely beautiful cards Darnell! Love the colouring on your hydrangeas & I'm sure they are even more stunning IRL with the magical WOS on the them. Love the softness of your second card but still so pretty. I'm loving your floral forays! Beautiful cards, as beautiful as the ones you cased. All your cards are so beautiful and inspiring my friend! Don't buy those plane tickets quite yet! TFS my friend. hi Darnell wodnerful work here today on your bloggy post and also the chuckleworthy banter along with it :D some gorgeous cards all around including originals and CASES, by DJK of course.. Such beautiful cards - both the hard way and the easier(?) way! Go Verna she sounds like a deserving "strong woman". You made my morning the BEST it could possible be! Your post made me giggle out loud again (good thing my supervisor is out right now!). Gorgeous cards! Sooooooooo happy to know that I'm not the only one that has taken the long way 'round to the end result! I did perzactly what you did the first time I tried this technique too. Let's say that 'great minds think alike'. Beautiful water coloring! Love Stella's magical fairy dust effect on the first card! Two AH-MAZING cards again pal! Gotta say it again.....loved your post! Hope Hammie and the wee ones had a great trip! Love all your beautiful cards! 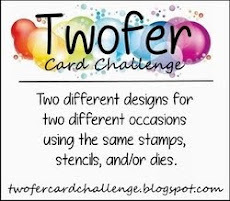 The one linked for our card challenge is gorgeous! Love the design with the colored and uncolored flowers! Thanks for sharing with us at Cards in Envy. All your cards are beautiful on this post! I loved Joyce’s card too and you nailed all of them. Love the shimmer on the birthday card! 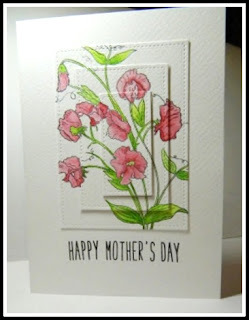 Wow on all the pretty stamping on the multi layered card...... loving that one! I’ve done the hard way before too! I was happy that Joyce reminded us the easy way. Hope you have a great weekend and that we get to enjoy some rain. Easy way, hard way, both look amazing! I sometimes try a new technique, complicating it and get a 'duh' moment when learning from a tutorial. Many things aren't that hard to do, but our cards look more complicated than they are. Fascinating isn't it. Gorgeous cards, Darnell! 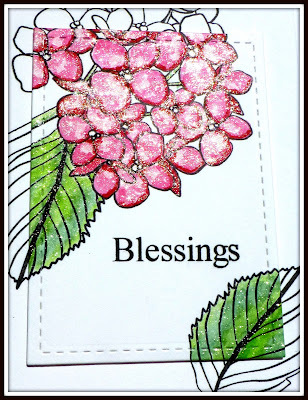 Those hydrangeas are perfect for that CASE of Joyce's card, and colored and Winked up beautifully for the occasion! Your Marker colored stamping is so pretty on your second card, and it's a great technique! 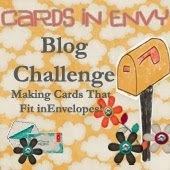 Wow - you have been very busy - thanks so much for the beautiful entry for florals or fantasy challenge at Cards In Envy. Really enjoyed the stamping and how it is part of both the background and the foreground. 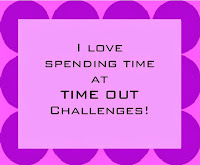 So glad to see you back at TIME OUT and with a beautiful card! BTW they are both beautiful! )Can't wait to see more flowers let there colors bloom here; will have to wait a week or two I think:) Enjoy the weekend! Love your cards! Thanks for playing with us at Inspired by All the Little Things :)! Love both cards and all your stories, Darnell! My fave; the mondo hydrangea- such a glorious blossom!! Gorgeous CASE of Joyce's card! Super that you tried both the hard and the easy way of this technique! They both came out great! Have a great weekend! I am enjoying some time with my niece who is here for a visit! Your floral creations are so lovely, Darnell! I love them both! I love your card to the challenges HLS The CAS Designer. That's what you did, it is very beautiful. I love the layout and how to add color. Oh, you've done a great job with the painting of the lovely hydrangeas, Darnell ...and the WoS just makes it even more stunning!!! And the second card is so beautiful with all the sweet spring flowers!!! ... a pity about the sentiment cut in half, but still a lovely card and for sure your friend loved it!!! So pretty!!! Well, we've all had our Hamsters on Holiday moments (sometimes I lose count of these moments) but what stunning cards you have created........joyful and marvellous! I was at twofers challenge and look at your card as one of top picks...wanna say congrats Darnell.. Gorgeous!! I want to try this someday.